Tony Blair has attacked Jeremy Corbyn’s leadership of the Labour Party and questioned whether it can be “taken back” by moderates. The former prime minister sparked anger among supporters of the current left-wing leader by saying that under his stewardship it had become a “different party” and he hopes it is not “lost”. It prompted Jon Lansman, founder of the Corbynite Momentum, movement to say on Twitter that Labour would “never” return to the former PM’s policies and he “was never in the right party”. 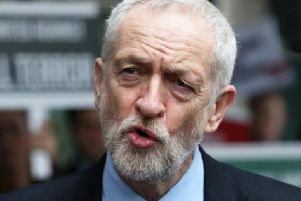 However, Lord Blunkett, a former home secretary and leading figure of the Blair era, warned that the party faced “irrelevance” unless there was a rethink of the “Corbyn project”. The former PM’s comments come after Labour activists in Enfield North passed a vote of no confidence in Joan Ryan, a minister in the Blair administration who now chairs Labour Friends of Israel. Mr Corbyn was in Leicester on Friday to outline Labour’s plans for the water industry. When told that Mr Blair sees him as an “existential threat” to the party he said: “I’ve been in the Labour party all my life. I am a socialist. I am determined to see a fairer and more equal society for everybody.